Recently, Bengal is in celebrated mood as it gets the Geographical Indication status or GI for its sweet dish ‘Rasgolla’, which is usually known as ‘Banglar Rasgolla’, the sponge ball with sugar syrup. As India being the vast country with diversified language, culture and tradition, there are numerous number of cuisines in India, that holds the flavors and uniqueness of their place of origin. Every corner of India has its own special dishes prepare from different ingredients. The diversifying culture of India has led to creation and innovation and uniqueness in the life of the people. 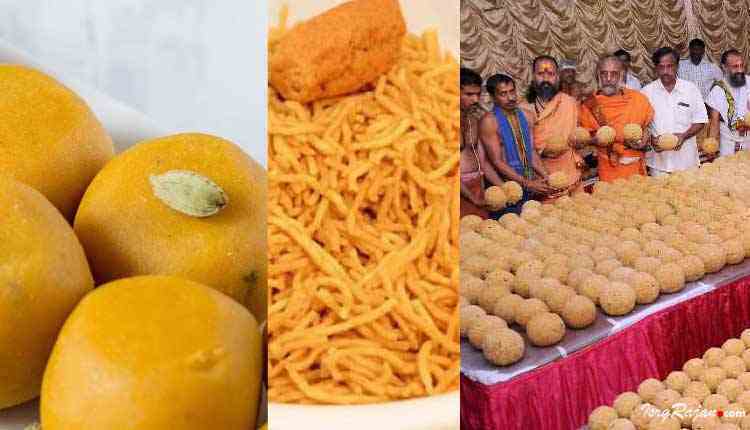 Here are the list of five other foodstuffs that had got geographical Indication and should be a must try for all the food lovers out there. To start with, there lies the question of what is mean by geographical Indication? Geographical Indication or GI is a sign that is given on the products based on their place of origin, that possess certain quality or reputation. GI is also used to save the originality of the product. So here are the list for the food lovers. Laddo is till days remain one of the favorite dessert among people of India. The round ball made with flour, There are also varities of laddos available all over the country. The Bandar Laddo belongs to the Krishna district of Andhra Pradesh. It is made from gram flour, jaggery, cardamon, sugar, ghee, etc. The Indian savoury, the cripsy snack originated in the state of Rajasthan, in a town called Bikaner. Bikaneri Bhujia, is one of the favorite snack in India and loved by people of all age group across the country. The dish is usually prepared by using moth beans flour, gram flour, black pepper, asafoetida, sugar and deeply fried in oil. This is one of the mouth watering snacks of the country. India is a house of many mouthwatering sweet dishes, that vary in size and shapes and in found in every nook and corner of India. Peda is one of such Indian dessert that is found in every parts of India although they posses difference in color and taste based on the place of origin. Dharwad Peda was originated in the Dharwad city of Indian state of Karnataka. This is especially semi soft spherical balls and brownish in color and is prepared using buffalo milk. The ingredients used are khoya, ghee, sugar, cardamon etc. It’s unique taste make it most favored among people. Dharwad Peda is a must try for food lovers travelling to South. Ratlami Sev is another another most favorite crunchy snacks that originated in Ratlam city of Madhya Pradesh. The main ingredients used in Ratlami Sev are chickpea flour paste,gram flour, fennel seed, ajwain. Its also need turmeric paste, black pepper and is deep fried in oil. Another fried snack that should be must try. As Laddo is very famous Indian dessert and loved by all, there are also various kind of Laddo available in different parts of India. Tirupati Laddo is a must try. It is well known for it’s own specialty. It is used as an offering to Venkateswara at Tirumala Venkateswara Temple located in Tirupati of Andhra Pradesh. Main ingredients include gram flour, cardamon, ghee etc.